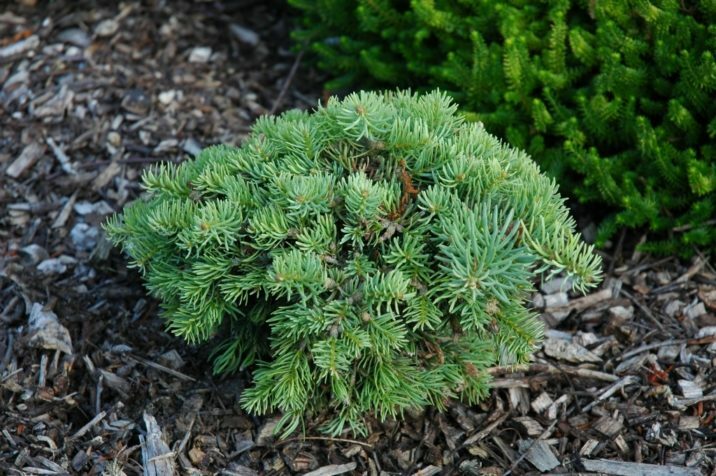 Abies concolor 'Birthday Broom' is a cute, diminutive selection of White fir with short 0.5 inch (1.2 cm) long, light Blue needles and a uniform, cushion-shaped growth habit. After 10 years, a mature specimen of this plant will only measure 14 inches (25 cm) tall and 20 inches (50 cm) wide, a growth rate of only 1 inch (2.5 cm) per year. Abies concolor 'Birthday Broom' — a 5 or 6 year old specimen. 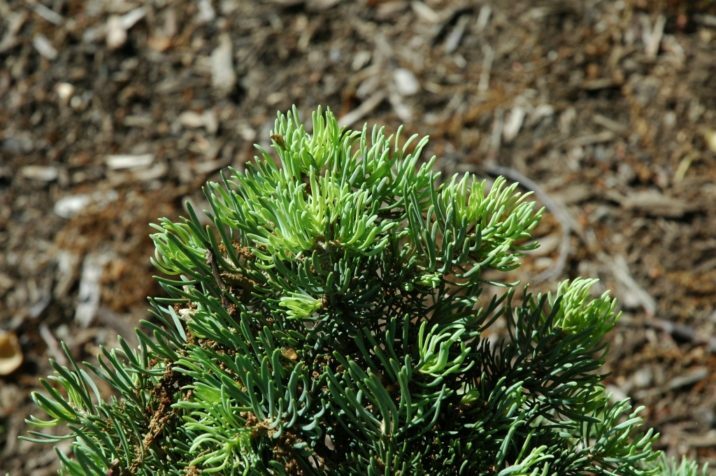 Abies concolor 'Birthday Broom' — a closeup of foliage detail.